These bars are THE BEST. The first layer is a baked chocolate slice studded with chocolate chips and roasted hazelnuts (I know right? ), next comes a generous smothering of rich dark chocolate ganache. The final touch? 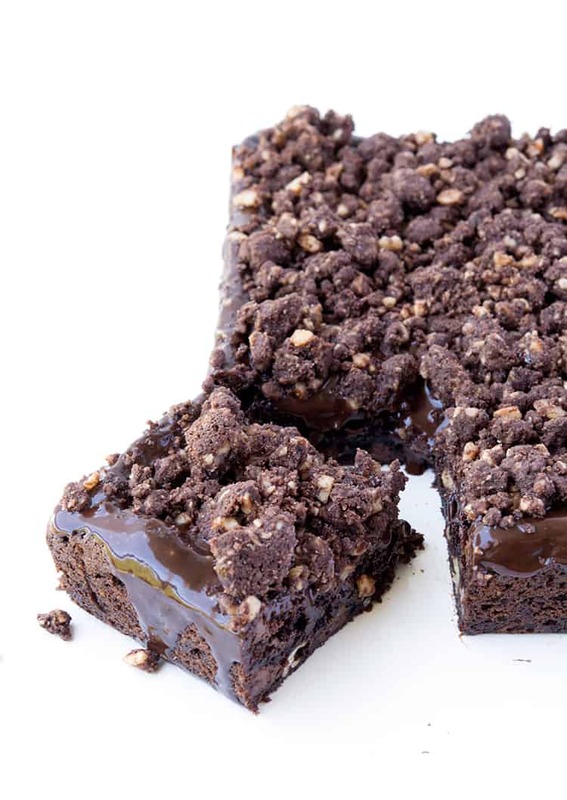 An avalanche of homemade chocolate hazelnut cookie crumbs. All in all, this is one decadent, fudgy chocolate treat. This recipe was completely unplanned. I had a craving for chocolate slice. I’m a huge fan of nuts and chocolate – hence the reason why I love love love Nutella – and had hazelnuts in the cupboard. 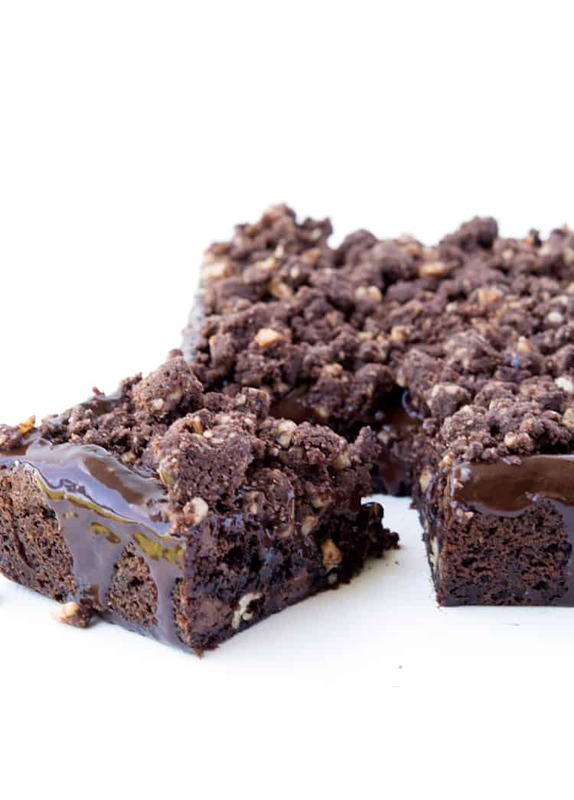 Boom, the Chocolate Hazelnut Slice was born. 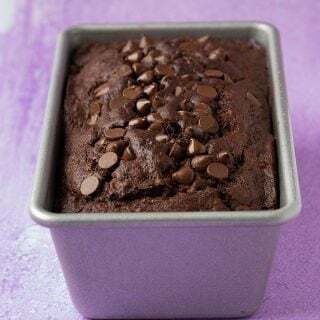 The chocolate base is actually a perfect all-in-one treat that can be whipped up really fast using regular ingredients. 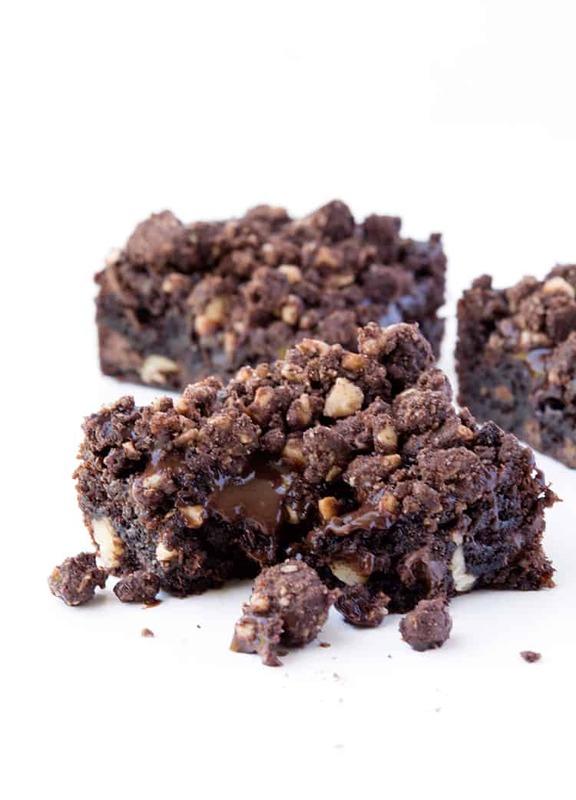 It is perfectly fudgy with crisp edges and pops of chocolate in every bite. Honestly, you could stop there, but if you are anything like me, you’ll want to make your chocolate slice one to remember. 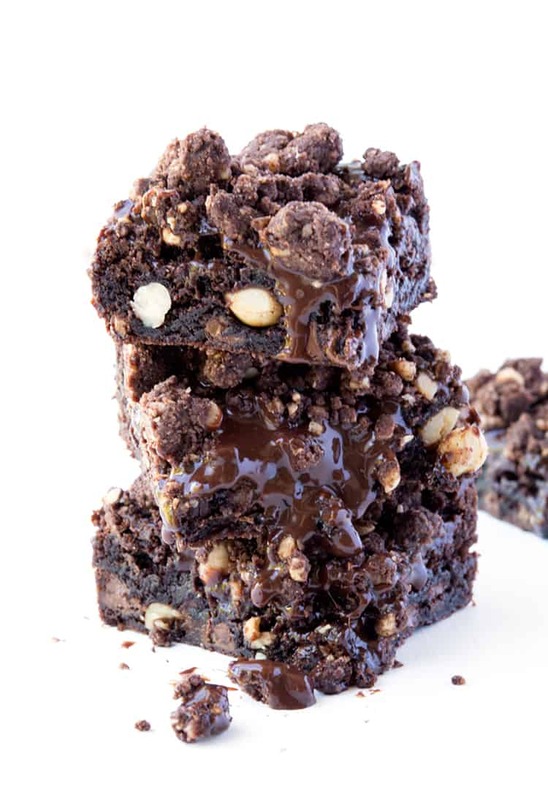 Enter drippy chocolate ganache (and plenty of it) and LOADS of chocolate hazelnut crumbs. These crumbs are my favourite way to add extra crunch and a pop of flavour to anything. Cakes, cupcakes – you name it. 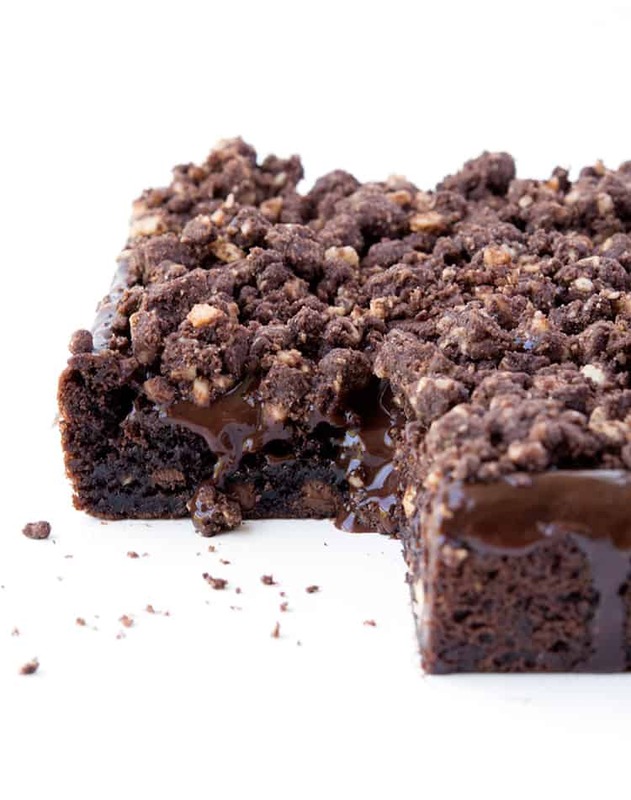 Chocolate hazelnut crumbs are where it’s at. 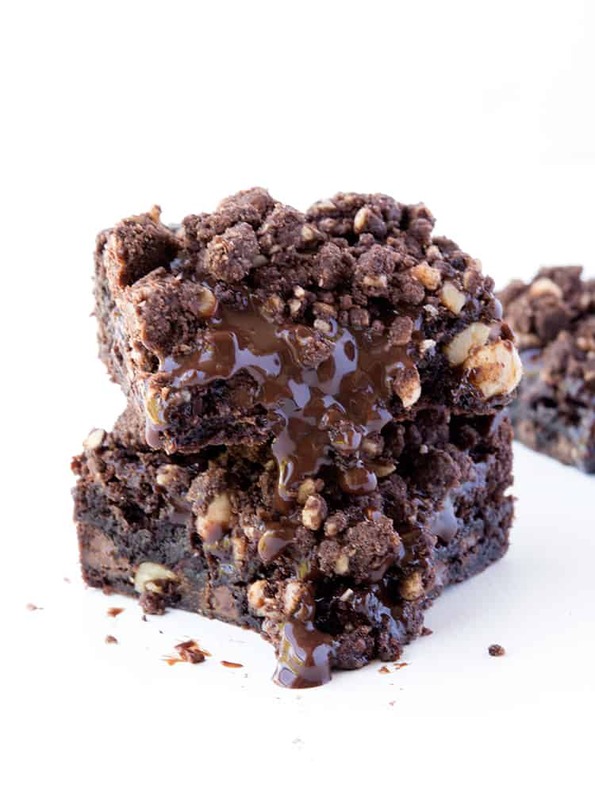 Reminisenct of a gorgeous brownie, this Chocolate Hazelnut Slice could even been made for a delicious dessert. Leave out the ganache and crumbs, if you want a more portable slice. Either way, you can satisfy your chocolate cravings instantly. I ate waaay too much of this slice. But it is one of those recipes you can make over and over again. No outrageous ingredients, easy to throw together and unbelievably satisfying. And those chocolate crumbs are really easy too! A little melted butter is mixed together with a few ingredients, including a handful of crushed roasted hazelnuts, and then baked to perfection. Once the crumbs cool, they become little crunchy cookies – my fav! So tell me, how was your weekend? We went to Palm Beach yesterday and walked up to the Barrenjoey Head Lighthouse. Man oh man, what a truly stunning part of the world! I shared some photos on my Insta Stories. This week I’m going to be at the studios for work cooking up a storm and then my mum is coming to visit for Mother’s Day – I can’t wait! Speaking of, this slice would be perfect for a sweet Mother’s Day morning tea. 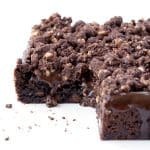 Delicious Chocolate Hazelnut Slice filled with roasted hazelnuts and chocolate chips, topped with chocolate ganache and chocolate hazelnut cookie crumbs. Preheat the oven to 160 C (320F). Grease and line an 8 inch square baking tin with baking or parchment paper. In a large mixing bowl, add the butter and sugars and beat until pale and creamy. Add the vanilla and egg and beat again until combined. Sift in the flour, baking powder and cocoa powder and stir until combined. Add the chocolate chips and hazelnuts. 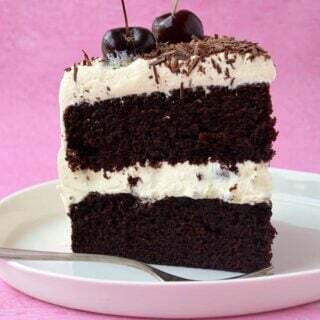 Place the chocolate batter into your prepared tin and bake in the oven for 30 minutes or until a skewer inserted in the middle comes out clean. Transfer to a wire rack to cool completely. Next, make the hazelnut crumbs. Crush your hazelnuts using a food processor, a mortar and pestle or by hand until they become fine crumbs. In a large mixing bowl, add your hazelnut crumbs, plain flour, sugar, cornflour and cocoa powder. Whisk together. Melt your butter and add it to the mixture, stirring until it forms wet crumbs. Pour this mixture out onto a baking tray lined with baking paper and spread out into one layer. Bake for 10 minutes, then leave to cool completely. To make the chocolate ganache, roughly chocolate dark chocolate and add to a small bowl. Pour over the cream and the pop in the microwave for 20 second bursts, stirring in between, until chocolate has melted. Put the ganache in the fridge for about 15 minutes to thicken. 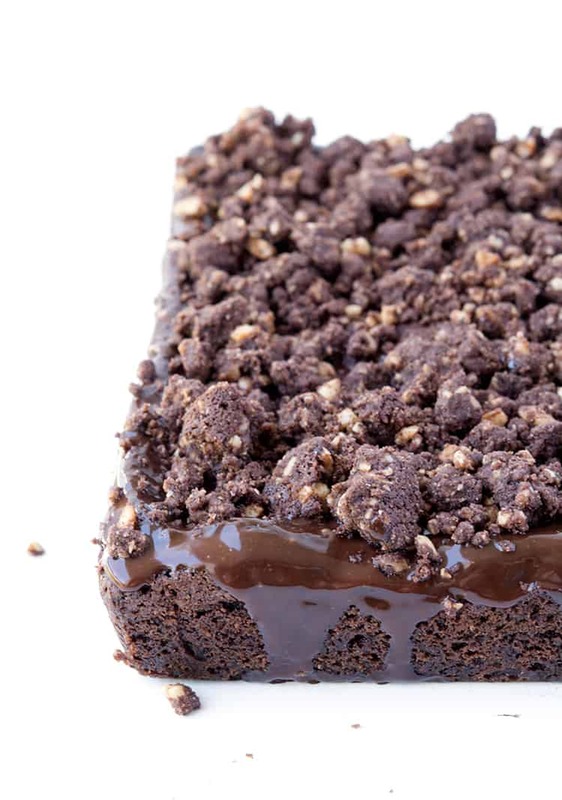 Pour your ganache all over your chocolate slice, then scatter over your chocolate crumbs. Slice into small squares and enjoy! Hey, this looks ridiculous!!! Thanks for sharing. I was wondering whether you think it would be good to make as a round cake for my friends birthday? Thanks Sues! Let me know if you do, I’d love to see a pic! Woah. Drool alert over here. 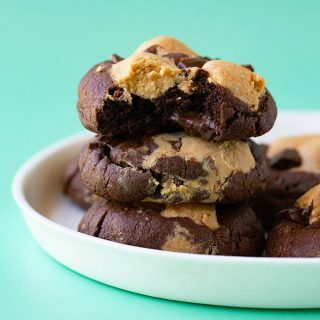 I mean seriously, is that ooey gooey chocolate real life? I am OBSESSED!